Time to end the debate: Here are the best horns, ever. First things first: you will not find the noble moose on this list. It’s not because the moose isn’t a majestic animal with equally majestic head protuberances; it’s because the moose has antlers, not horns. Antlers are made of dead bone, and are shed and regrown again every year. Horns, on the other hand, are live extensions of the skull, and stay with the animal for life. Deer and relatives of the deer, like the moose, have antlers; goats and antelope and relatives of the cow have horns. We are aware that this seems like an unnecessarily strict and nerdy distinction, and that the difference between antlers and horns may not make for good party conversation at every party. Our thought is, you should only go to parties where the difference between antlers and horns makes for good party conversation. Now onto the horns! Oh, man, these are good horns. 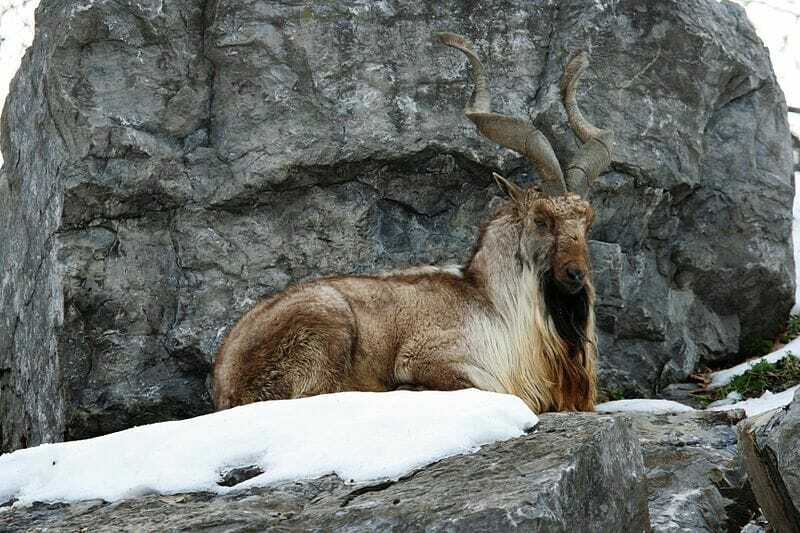 The markhor, according to ARKive, lives in the mountains of central Asia, adeptly climbing craggy rocks with the grace of North America’s own mountain goat. It’s extremely endangered, with an estimated 2,500 left in the wild in part due to hunting for its absurdly spectacular corkscrewed horns, which can grow to more than five feet long. Native to the dusty steppes of Kazakhstan, Russia, and sometimes Uzbekistan during migrations, the saiga is a truly absurd-looking and delightful antelope. Its fleshy, shotgun-like nose is used to filter out dust in its habitat and also, we think, to warm cold winter air before it makes its way to the animal’s lungs. Its spiralled horns are a light, dusky pink, with the luster of jade. It’s also incredibly endangered; read this for more about the plight of the noble, floppy-nosed saiga. 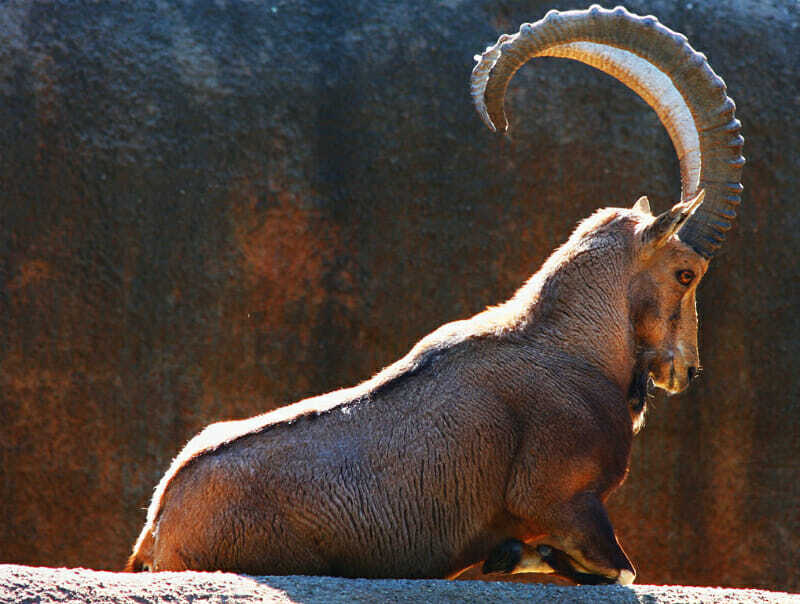 The Nubian ibex’s gigantic, backward-curling horns are even more impressive when you consider that the ibex uses them to smash into male competitors while on top of scary mountains in North Africa and Arabia. There are a few different types of ibex and nobody’s quite sure whether they’re the same species or not, so please, alpine ibex fans, don’t be upset that the Nubian variety is up here instead. 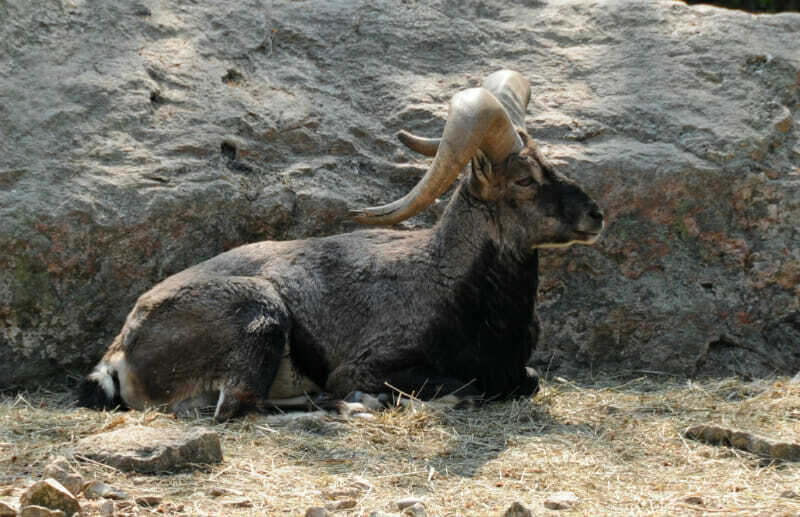 According to reputable sources, the bharal is also known as the Himalayan blue sheep due to a bluish tint to its fur. 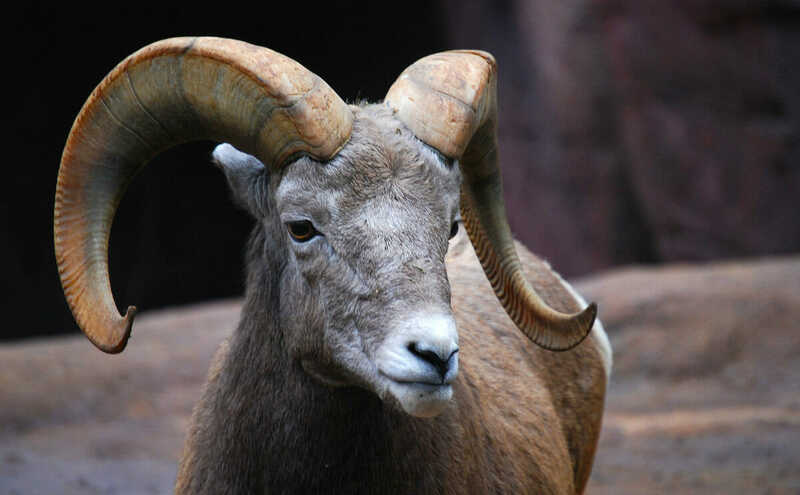 In the interest of journalism, we spent quite awhile looking at pictures of bharals online and are sad to say that this sheep is not really colored blue. But! It does have very good horns. 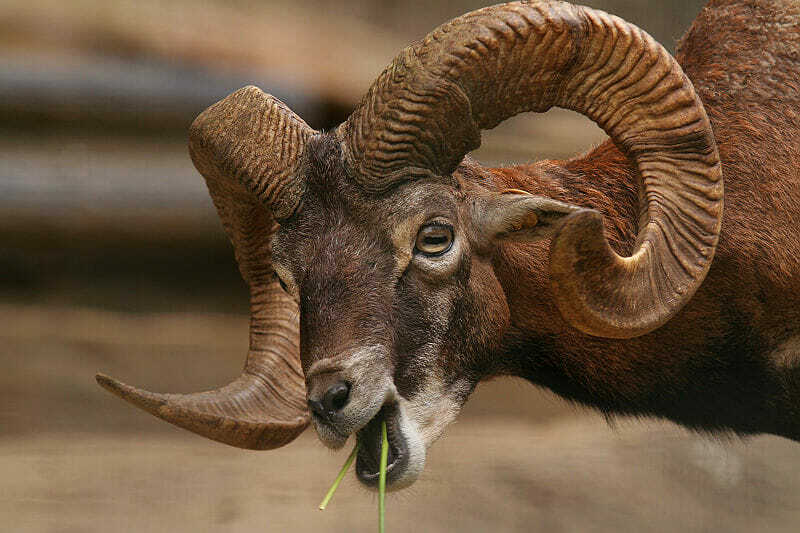 Sheep horns tend to be wider and smoother than narrow, knobbly goat horns, and the bharal is in possession of some excellently wide and smooth horns. 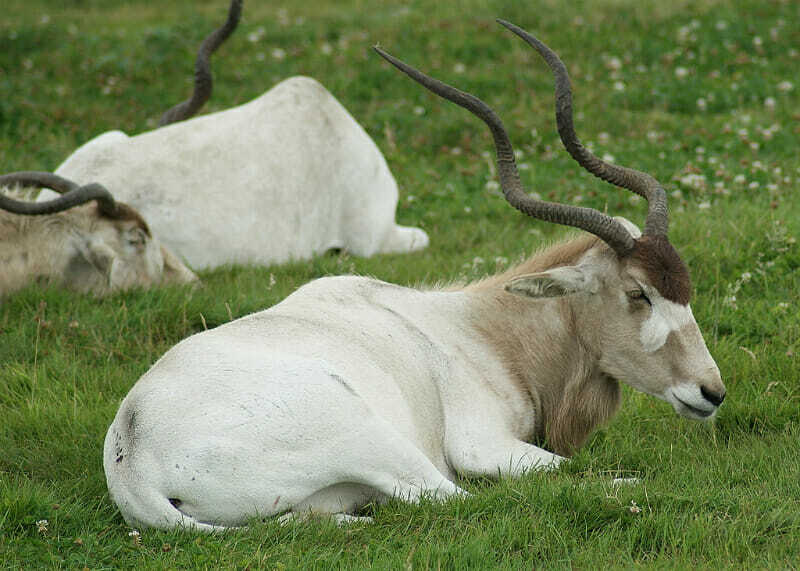 The addax is also known as the screwhorn antelope, which is a perfect name. 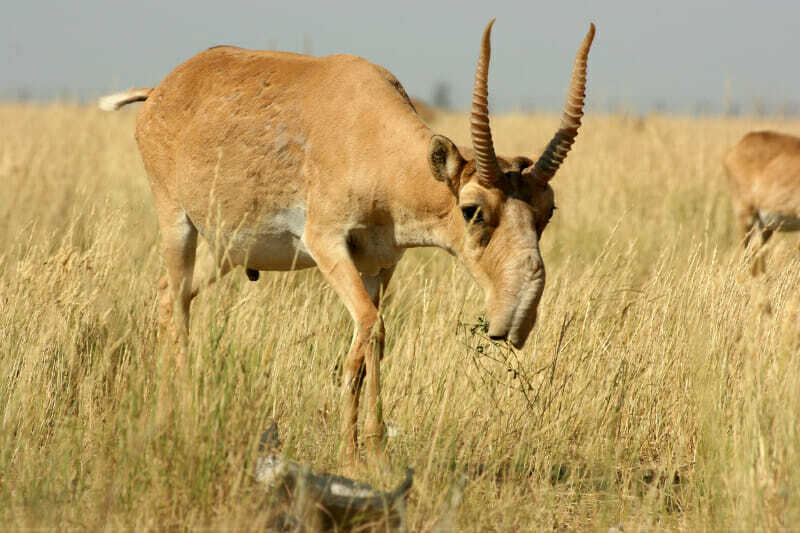 It’s an antelope, you see, and it has horns, and the horns have swirling teeth like a screw. Good work, whoever named this animal. “Addax” is a cool name too, though. It’s basically extinct from its native Sahara, but weirdly survives well in captivity, so it’s a common sight in zoos. The mouflon is thought to be the ancestor of our modern, very familiar domestic sheep. Sometime during the domestication process the mouflon lost its absolutely stupendous horns, great tough curving loops that make you wonder why “sheep” could ever have meek connotations. 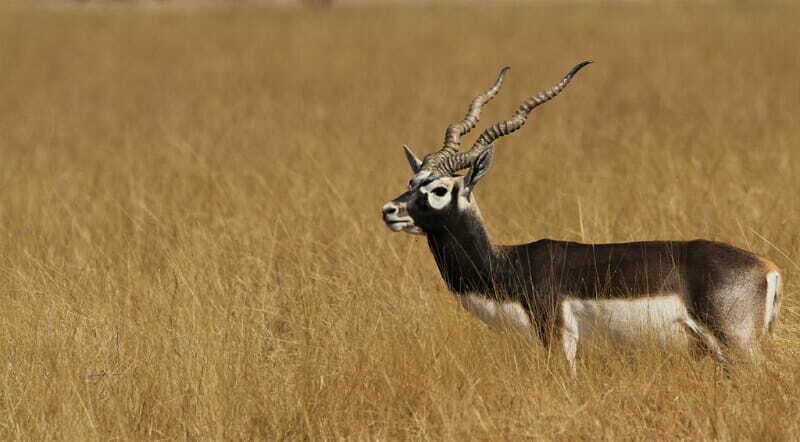 Voted “most likely to be a pirate judging by its name” by us, the blackbuck roams and leaps the wilds of India. Due to its excellent horns and cool reverse-raccoon patterning, it was a favorite hunting target for the very rich until somebody realize there were almost none of them left. Part of its protection came about because an Indian film star was caught shooting a couple of them after they’d been put on the endangered species list. 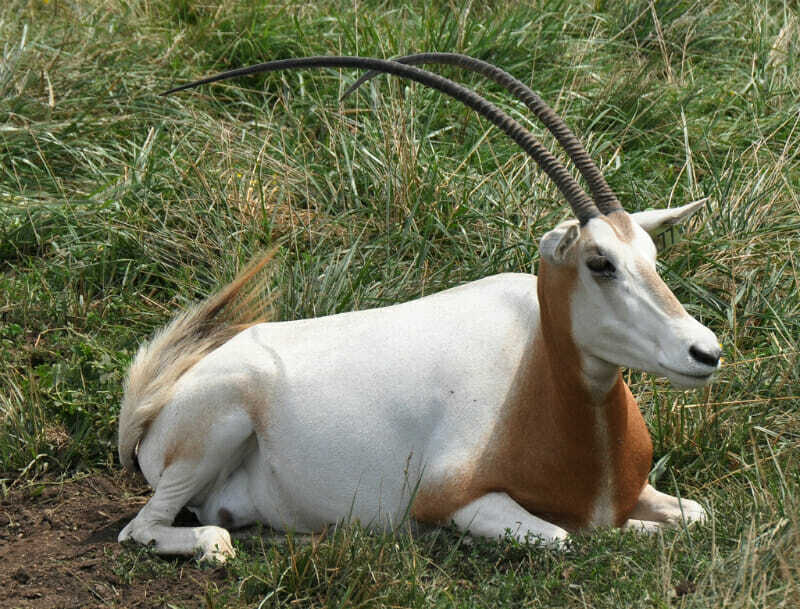 The scimitar-horned oryx is the buffalo of north Africa: formerly widespread, roaming the savannah in huge herds, it was hunted (for its horns, rather than its meat, though it was eaten), and it disappeared. 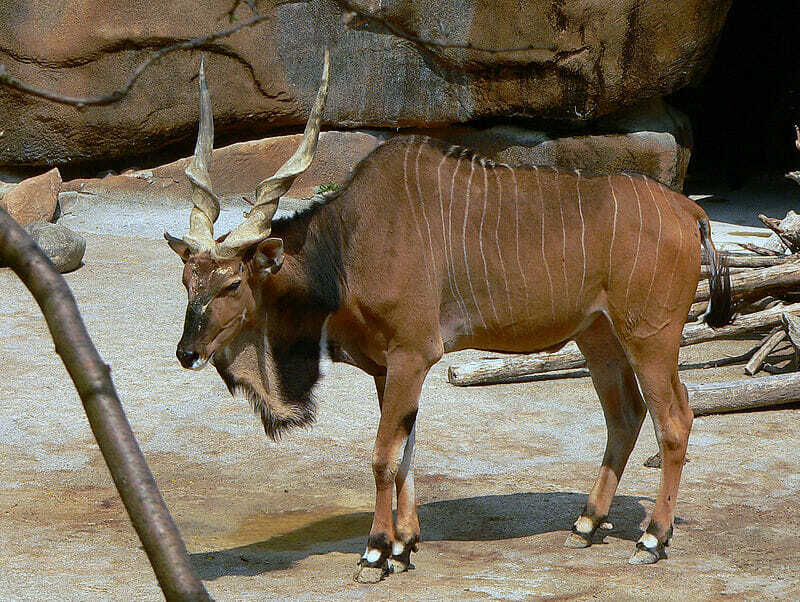 More interestingly: the oryx is extinct in the wild, only existing now in zoos. It’s not a huge animal, but the horns can reach four feet long. Native to central Africa, the giant eland is the biggest antelope in the world. It makes this list not for that, or for its great skin-beard thing, but because its horns have thread variation: the swirls are tighter near its head, and straighten out towards the tips. Very stylish. Haha! Good trick! You were expecting to see another goat or sheep or antelope, weren’t you? 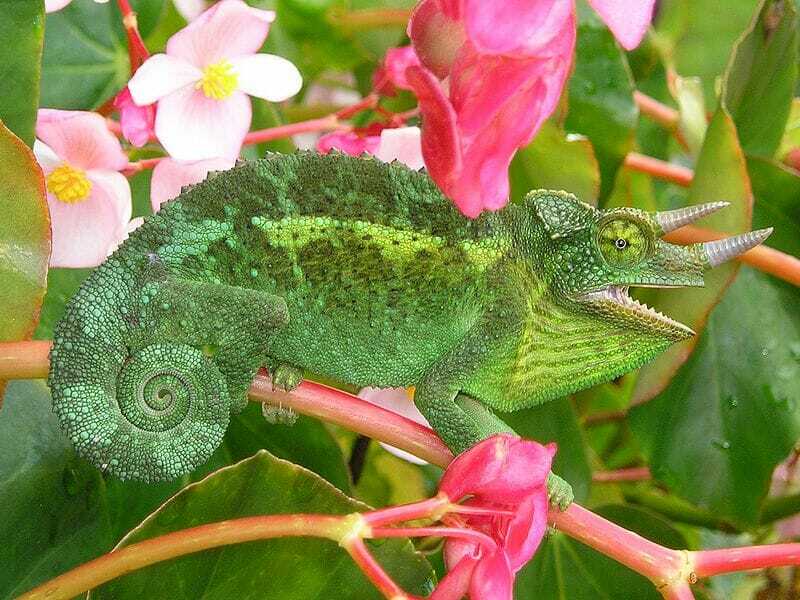 The Jackson’s chameleon, though native to the mountains of East Africa, can now be found all over the islands of Hawaii, probably due to the exotic pet trade. The horns on its head are true live bone horns, just like on an addax or markhor or giant eland, and it uses them for the same purpose: thrusting at competing males during breeding season.